Although we might not be boastful, we are proud of where we come from. Our country has been a world leader in politics, sports, innovation, and fighting climate change. We also look to the future with open arms. We have a higher than average adoption rate for smart home technologies than most countries, and as a varied and diverse landscape, we take the job of maintaining our natural splendor very seriously. Over 80% of Canadians are willing to make lifestyle changes to help the environment. 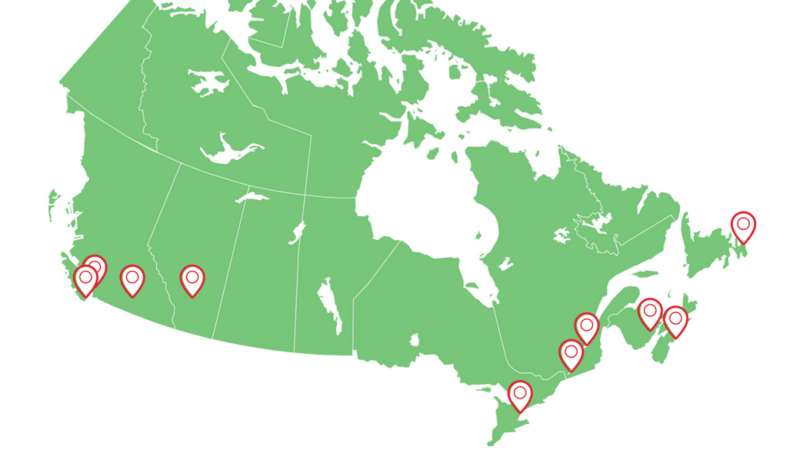 The following Canada’s Top 10 Green Cities list recognizes the cities that have been especially successful in creating and promoting this spirit of environmental sustainability. 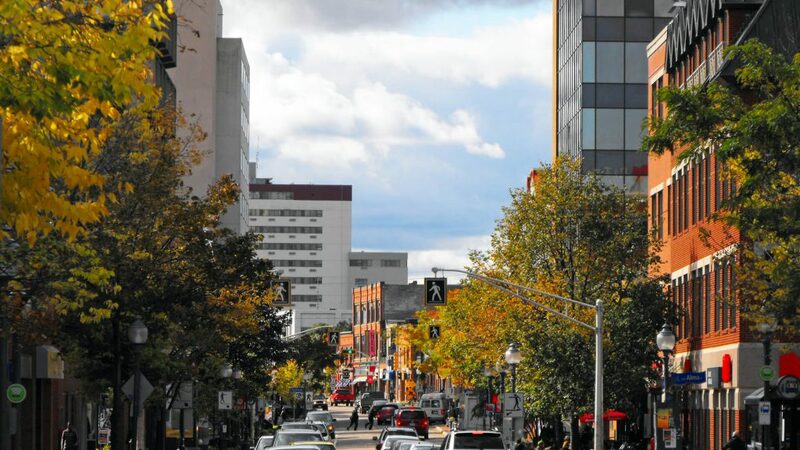 Moncton has a population of 145,000 residents and is the second largest city in the Maritimes. Due to its location inland and railway transportation history, Moncton is known by many as Hub City. Although only 10% of the population commute via public transportation, bike, or walking, the city is ranked 3rd in Canada for residents who carpool to work each day (22.7%). Moncton has converted its traffic lights to become LED traffic lights; a move that saves $87,000 dollars and 715,000 kilowatts annually. Approximately 60% of homes in Moncton use electric energy as the primary source of heating, which is more sustainable than alternative oil heating. It’s among the top 10 in Canada for this category. Hub city has done exceptionally with its recycling initiative with 99.9% residential participation and 51% of collected residential waste is either recycled or composted. Water conservation programs have been successful in implementing a bylaw in regards to designated times for lawn watering and offering affordable water conservation kits for homeowners. The most easterly city in North America is surrounded by stunning coastline. Every local resident is familiar with the East Coast Trail, which consists of over 300 kilometers of developed trails which run along the coastline through neighbouring towns like Portugal Cove, Torbay, and Flatrock. There are many lakes and parks throughout St. John’s, where residents often go to walk, swim, or skate in the winter. Over 90% of the population says that they have a “green space” within walking distance and 98% are happy with the air quality (ranked 1st in Canada). 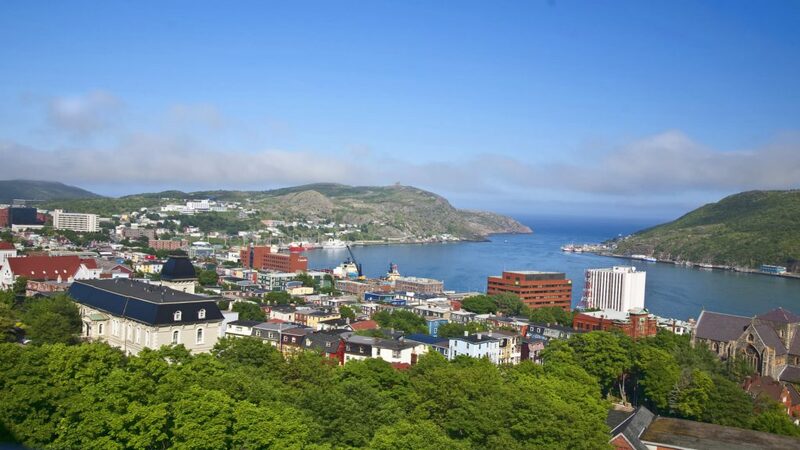 Although the public transportation system is not ideal, St. John’s scores bonus points for ranking 2nd in Canada (behind #7 on our Green Cities list) for carpooling with 23.2% of commuters. Several years ago, the St. John’s municipal government made strides forward by renovating its landfill and treating sewage water in order to clean up its harbour. The city also runs various programs to promote recycling and 80% of homes in St. John’s use environment-friendly electric heating. Kelowna is the third largest city in British Columbia with a metropolitan population of 200,000. The city is located in the beautiful Okanagan Valley and has a mild climate that allows for its vineyards to flourish in the south. Kelowna has an abundance of green space and ranks 2nd for green space with 95% of the residents saying that they have a park or green space within walking distance from their home. The city also ranks 2nd in Canada for the cleanest air, as 97% of the population says they’re satisfied with the air quality. The municipal government has placed a strong emphasis on promoting sustainability in recent years. 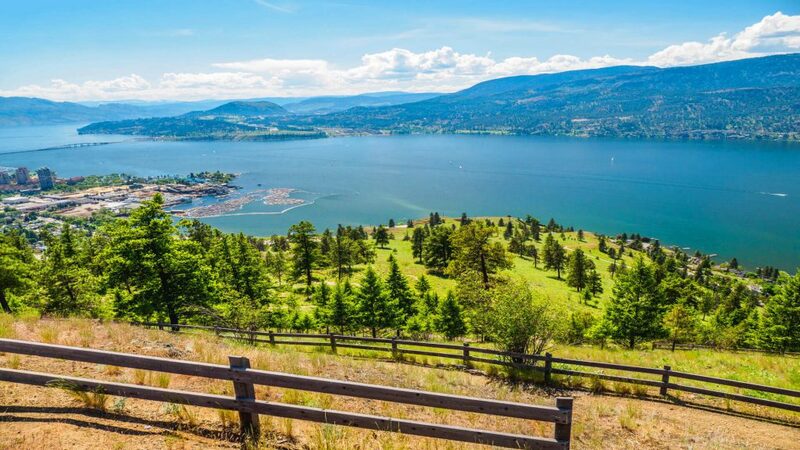 Through implementing policies and programs, Kelowna has improved on lowering energy use in buildings, containing the urban spread, and protecting important at-risk habitats. 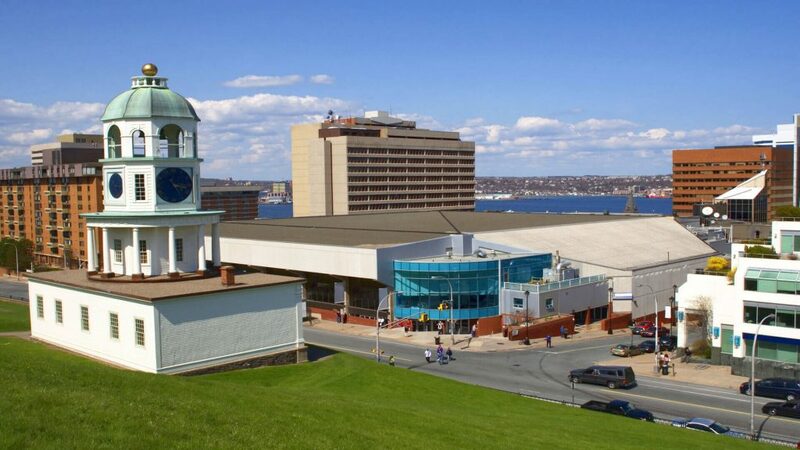 Halifax is the biggest city in Atlantic Canada and accounts for 15% of the region’s population. The metropolitan region has over 400,000 residents and includes areas like Dartmouth, Bedford, and Sackville. The city ranks 6th in Canada and 1st in Atlantic Canada for eco-friendly commuters who travel to work by public transportation, bike, or walking, at 22%. Another impressive statistic shows that Halifax takes 1st place in the country for carpooling (23.5%). Haligonians (yes, that’s what they’re called) enjoy a crisp ocean breeze and clean fresh air in their city. About 94% of Halifax residents are happy with the air quality, which ranks as 5th best in Canada. The municipality has continued its sustainability efforts by cleaning up the harbour, banning pesticides, and developing geothermal heating projects. Everybody knows Alberta is big on oil, but you might not know how eco-friendly is its largest city. Calgary has a metropolitan population of 1.4 million people, which makes it the fourth largest in Canada. 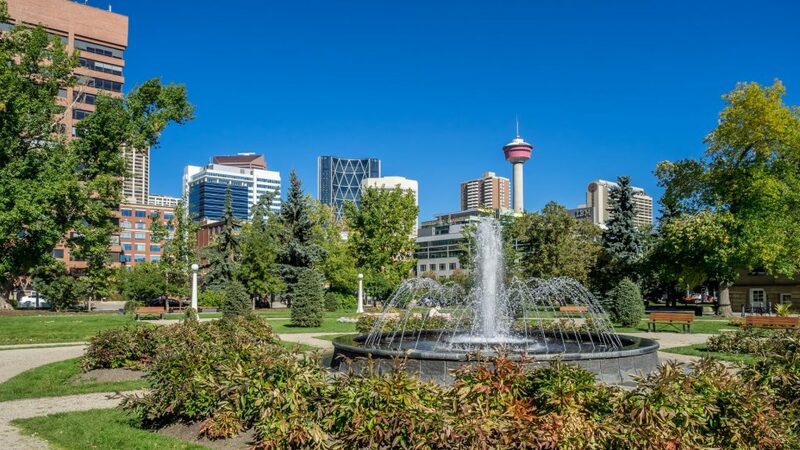 The Stampede City has been consistently voted as one of the cleanest cities in Canada and the world. Its infrastructure has decreased water wastage by minimizing leakage to 4%, which is 10% lower than the national average. Its residents also consume 113 gallons of water per capita, while the national average is 155 gallons. Calgary has an advanced public transportation system and 22% of Calgarians commute to work each morning by public transit, on a bike, or walking. They are ranked 6th in eco-friendly transportation and green space, as 91% report that they have access to a park within walking distance. 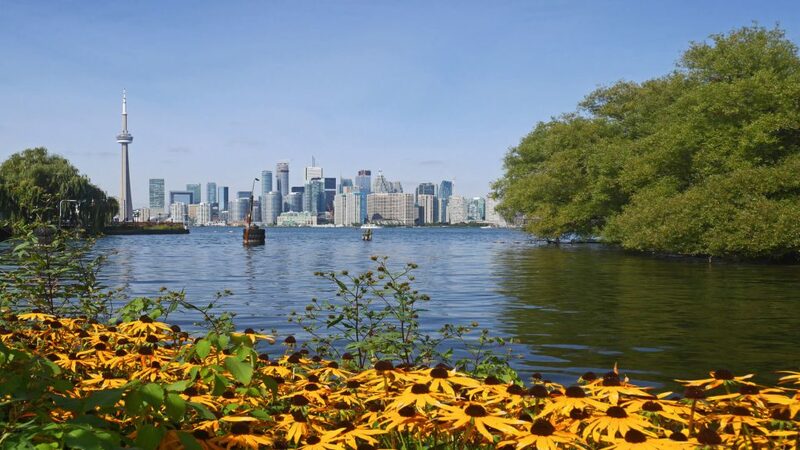 Toronto or The Six has a metropolitan population of 5.9 million and formed when six districts came together in 1998. It is Canada’s biggest city and has some progressive policies for recycling and sustainability. In 2009, the local government passed a bylaw that requires new commercial construction developments to have “green roofs,” which are areas on top of the building that allow vegetation to grow. This approach complements the existing green spaces around the city, such as Queen’s Park and Centennial Park. The City of Toronto boasts the most utilized public transportation system in Canada, as 30% of the locals report that they never drive to work. Its impressive infrastructure makes green commuting easy and affordable. “West Coast, Best Coast”, as the old saying goes. While this is up for debate, we can all agree that Vancouver is a forward-thinking and environmentally-friendly city. Vancouver has a population of 2.5 million and is Canada’s most densely populated area. Nevertheless, it has been an example for other metropolises to follow as it aims to be the greenest city in the world by 2020 through its Greenest City Action Plan (GCAP) initiative. This program has yielded significant results as seen in the 2016-2017 Implementation Update. An impressive 93% of the city’s electricity is generated by sustainable resources, like hydroelectric power, and the municipality enforces strict building codes which guarantee that buildings are energy efficient. 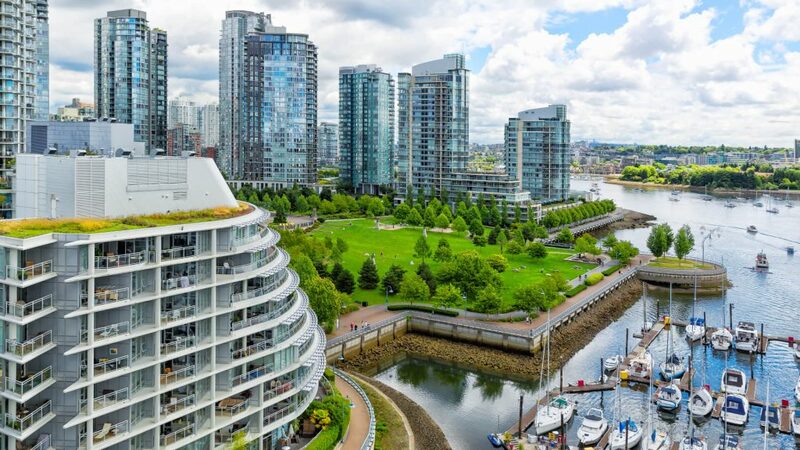 Vancouver plans to be a zero waste city by 2040 and to use 100% renewable energy by 2050. Montreal is famous for the bleu, blanc et rouge of its hockey team, but it is also a very green city. 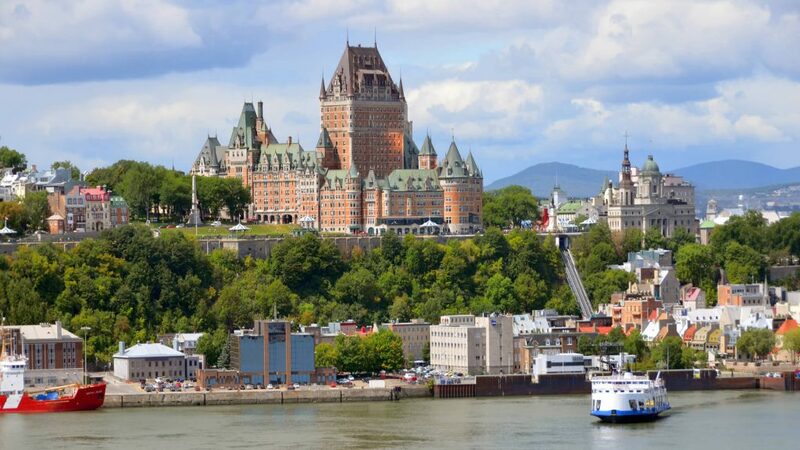 The largest city in Quebec was an early member of the Local Governments for Sustainability in the 90’s and continues to promote sustainability through its eco-friendly policies. The metropolis has a tremendous public transportation system and makes life easy for those who commute by bicycle. The city ranks 4th in Canada with 27% of locals taking either the public transit, riding a bike, or walking to work each morning. Montreal ranks 5th in Canada with 85% of homes using electric heating. 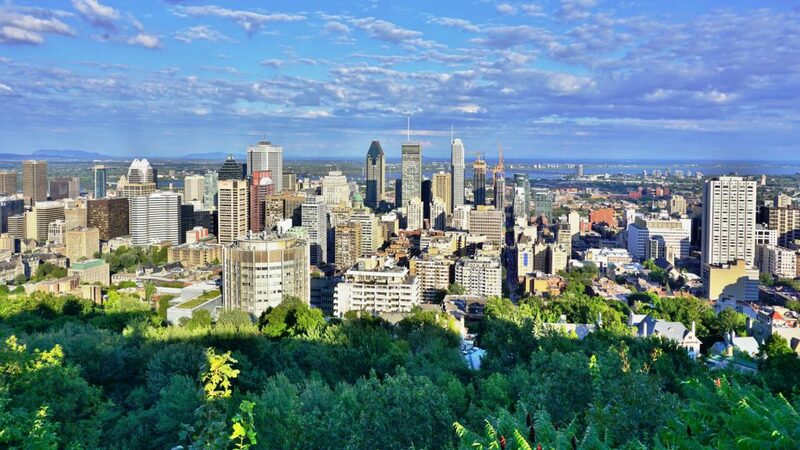 The most bilingual city in the country also has plenty of green spaces throughout the city which attracts both locals and tourists, such as the Montreal Biodome and Mount Royal Park. Quebec City is runner-up on the list of greenest cities. The city has a population of 800,000 and it has over a hundred of parks and gardens, like The Battlefields Park, Parc Chauveau, and Parc du Bois-de-Coulonge. Those who have a green space within a walkable distance account for 94% of the residents, which is the 5th best in Canada. As well, those who use public transportation, ride a bike, or walk to work make up 18%, which is 9th best. Approximately 90% of the home heating systems in Quebec City use electric power, which is much more eco-friendly than the fuel-based alternatives. It takes first place in Canada for this category. It’s the capital city of beautiful British Columbia. Victoria is among the top 20 cities for high-quality of life according to Numbeo, and it must provide its 385,000 residents with a breath of fresh air as 96% of the local population agree that the city has great air quality. Victoria is known as the Cycling Capital of Canada. 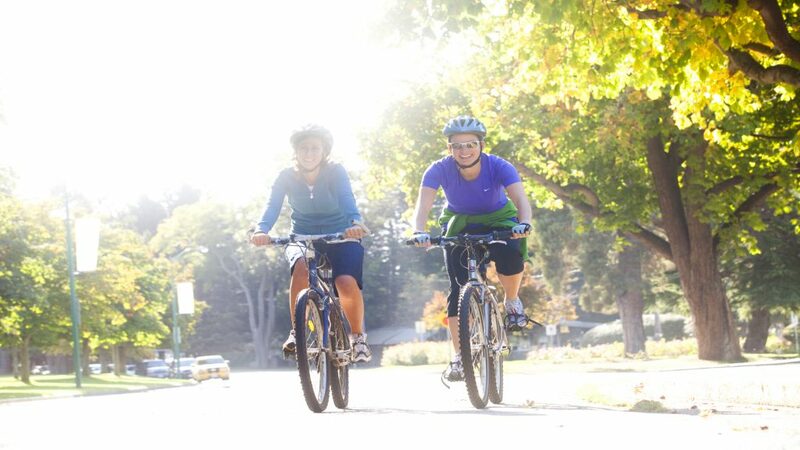 It has hundreds of kilometers of bike paths, bike lanes, and bike roads throughout the municipality, like the Galloping Goose Regional Trail. An incredible 6% of daily commuters ride their bike to work, which is more than double of the next ranked city. The Garden City can also boast that 1 in 10 people walk to work every morning (also more than any other Canadian city) and 97% of the population has a green space within walking distance from their home. Victoria is truly Canada’s greenest city. The data and statistics were collected from the latest research published by Statistics Canada and various municipal governments. The ranking for this list considers air quality, water conservation, eco-friendly transportation, designated green spaces in urban areas, type of energy consumed in homes, and efforts to promote sustainability. Do you think we missed a city that should be on the list? Let us know!